Nike Nike Zoom KD 12 "The '90s Kid"
Nike Zoom KD 12 "The '90s Kid"
Dubbed "The '90s Kid," the Nike Zoom KD 12 will debut in a tan synthetic and mesh mid-top upper with infrared and neon green detailing throughout. Additional details include a '90s-styled pattern wrapping the heel counter along with a large Swoosh stamped on the side panel, a speckled midsole, and atranslucent outsole. Release date is Apr. 1, 2019 at a retail price of $150. 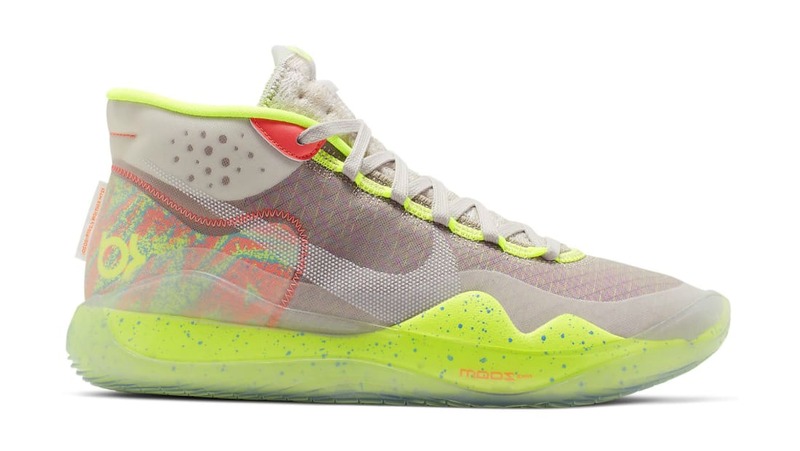 News Nike Zoom KD 12 "The '90s Kid"